Here at Big Top we have all the concession items you need to make your event great. 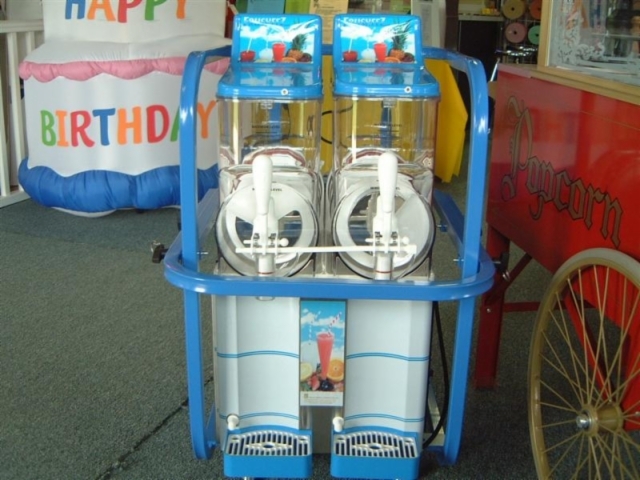 This includes items like popcorn machine, cotton candy, slush machines, sno-cones, nacho cheese machines, and more. The pictures below represent just some of the items we have. If you don't see it here on out site, please call us to ask.